! These units will let you make revisions on volume or track playing without touching the radio and taking their eyes of the road. 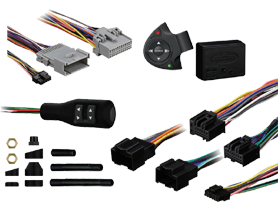 Nothing beats the quality of these Axxess Steering Wheel Controls because they were made using the highest grade of materials available in the market. So, what are you waiting for? Shop here at HalfPriceCarAudio.com now and save big!